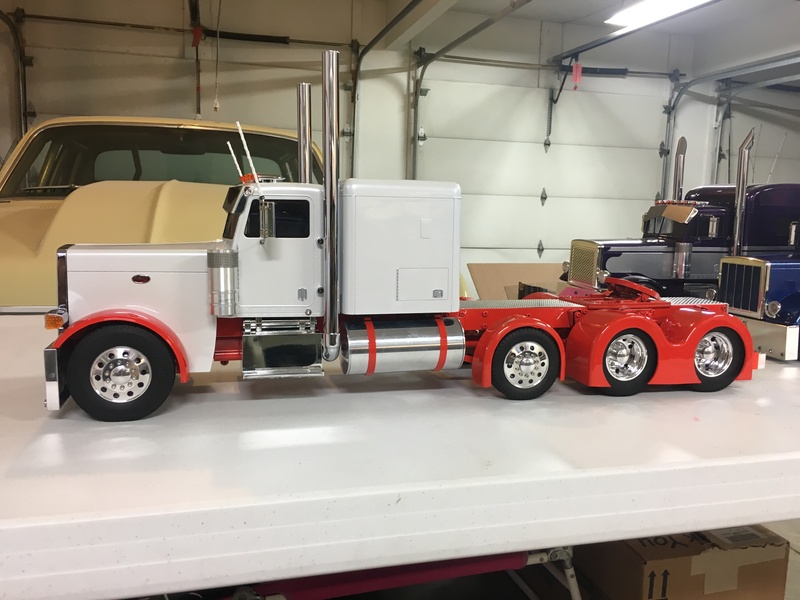 I am starting this page for my customers who send me pictures of my trailers with their trucks. 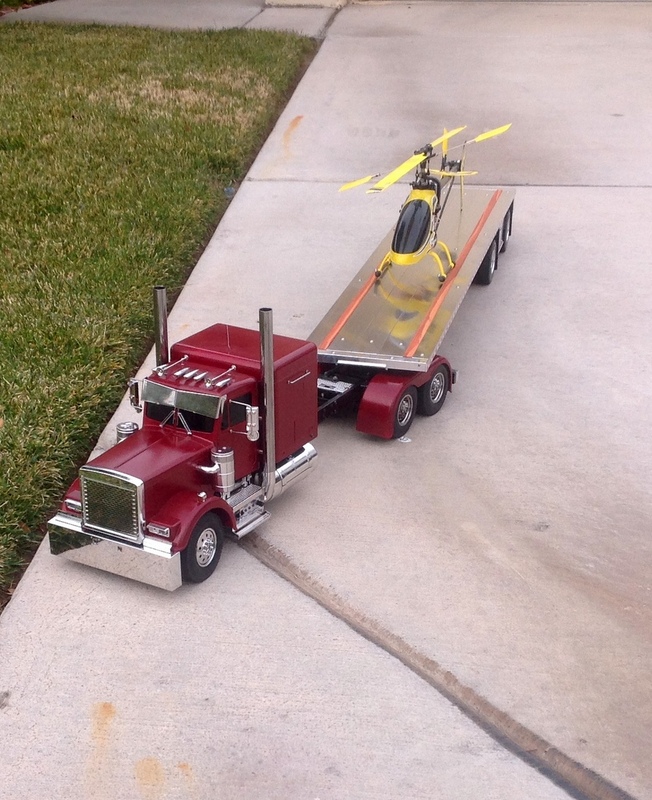 I love pictures of big rigs! 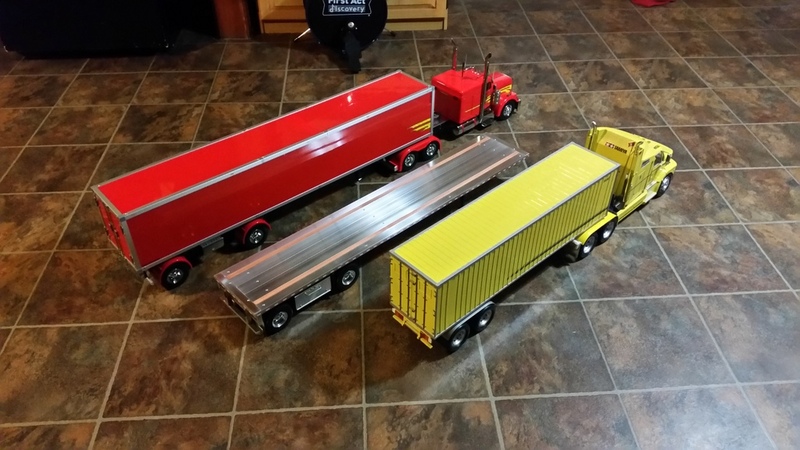 The 7 pictures below are the beautiful trucks owned by Pete Walsh, I think I have built 5 or 6 trailers for him over the past few years AND he has ordered 2 more drop decks! Thanks Pete! 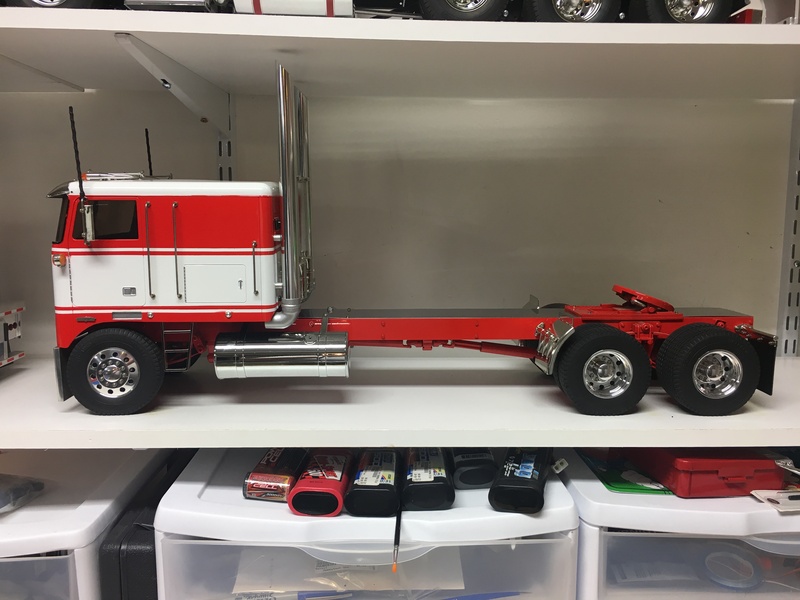 He has a lot of awesome trucks! and trailers! lol! 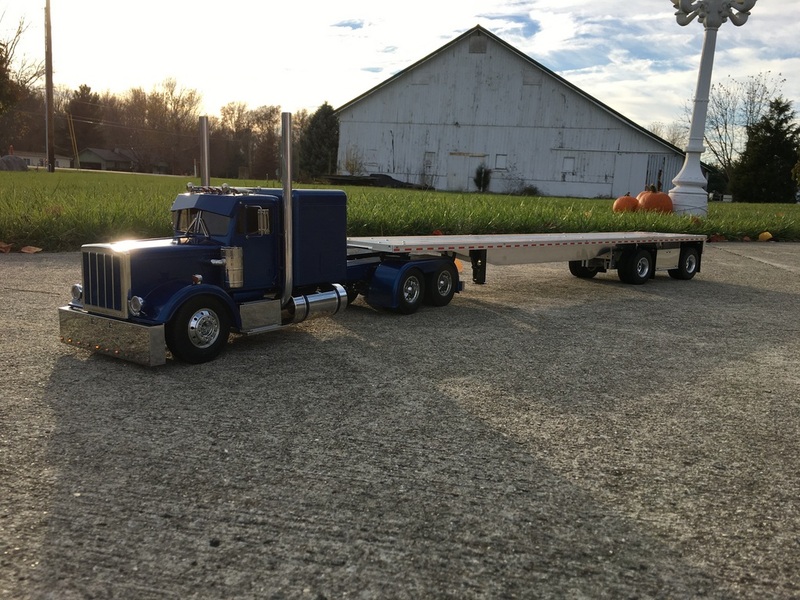 The next 2 pictures are from Pete W. in Fortville, IN with his beautiful Peterbilt pulling one of my Spread Axle 48′ flat beds. 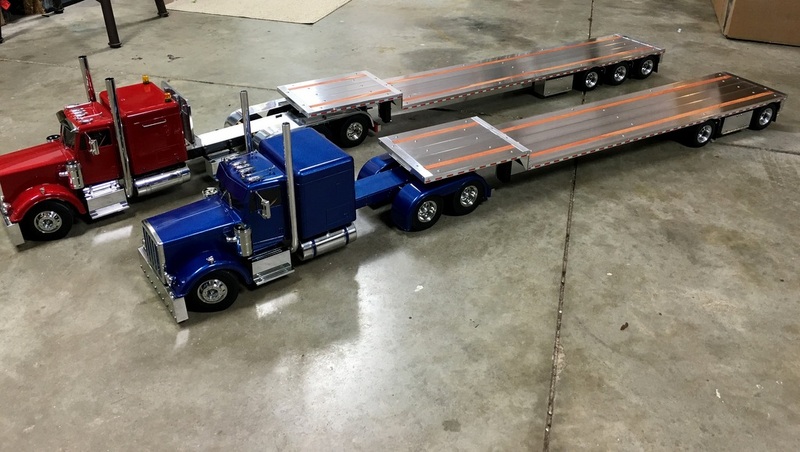 He will also be getting a couple of my drop decks, one 48′ Spread Axle and one 53′ drop deck tri-axle. Hopefully he sends me more pictures once he gets those in his possession! Thanks Pete! 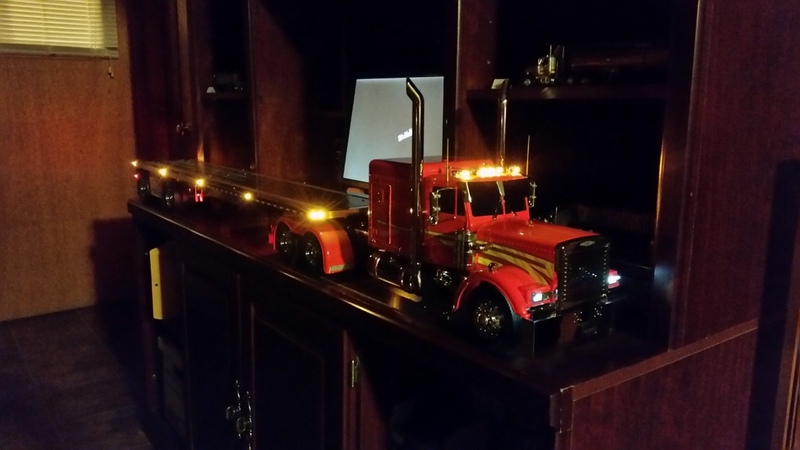 These next 3 pictures are from Ron H. from Las Vegas, NV, who purchased a 48′ flat bed from me, very nice stretched truck! Ron. 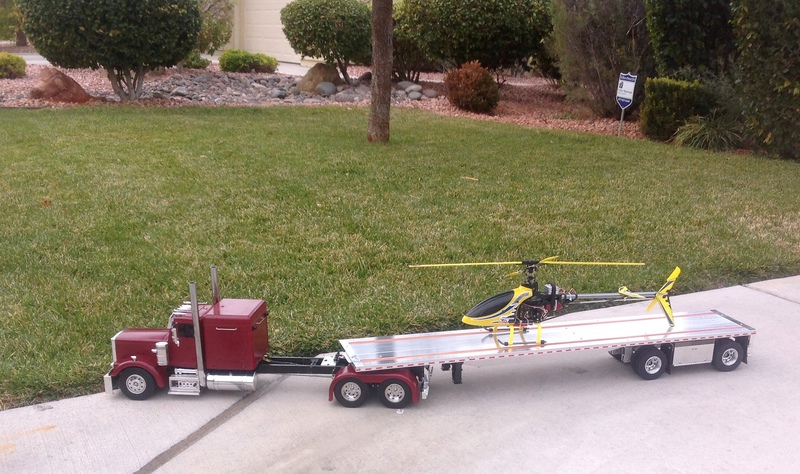 Like the Heli load also! These next two pictures below are again from Pete W. who hails from Fortville, IN. 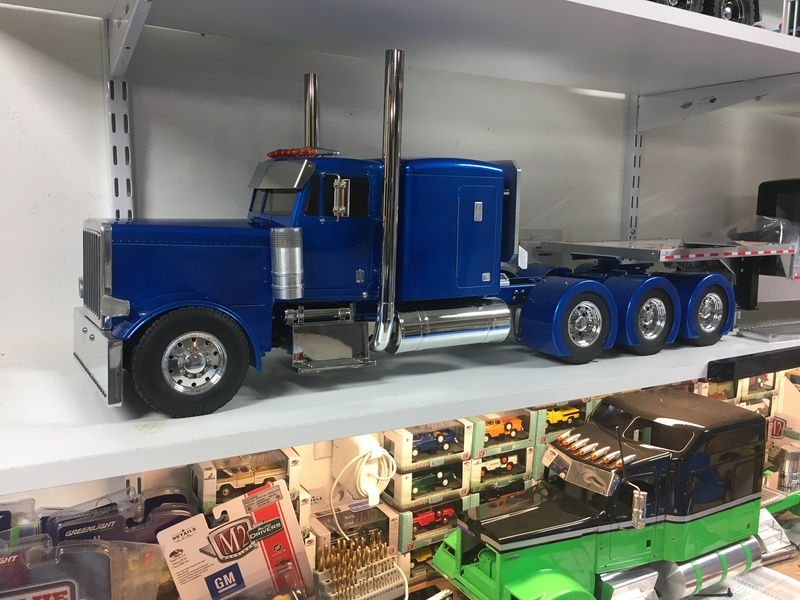 He has added two more drop decks from me, a 48′ spread axle, and a 53′ tri-axle, bringing his total to 3 trailers in all, Thanks Pete!! I appreciate it! 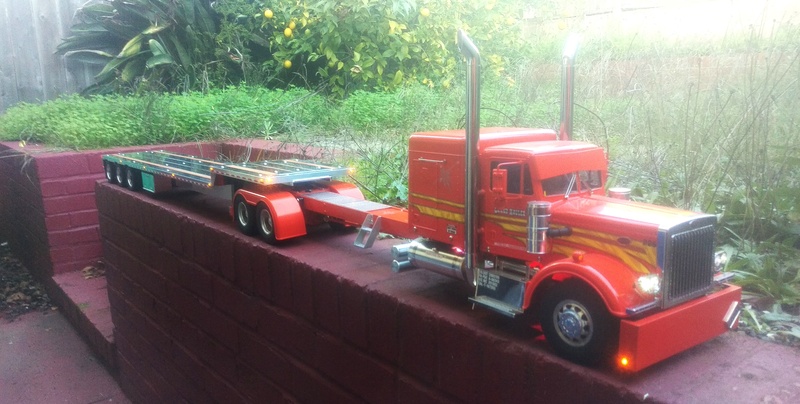 Very impressive pair of trucks, love that stretch, the colors, EVERYTHING! 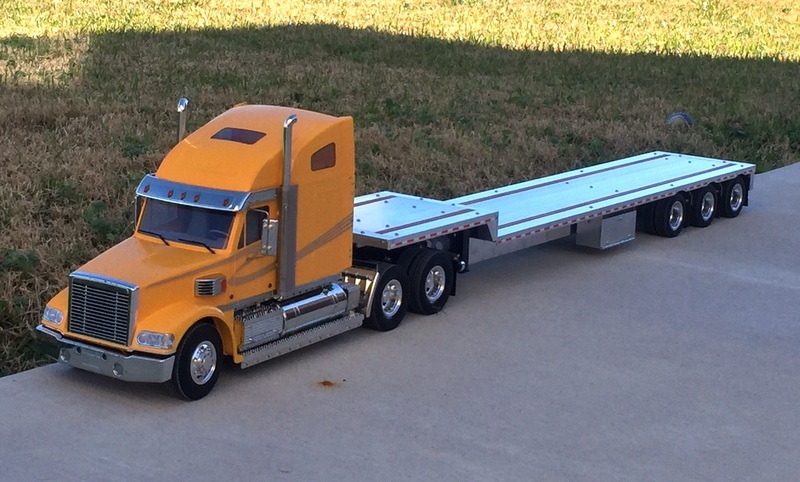 And another picture with his first trailer, a 48′ flat deck, perched on top of the 48′ drop deck. Gorgeous! 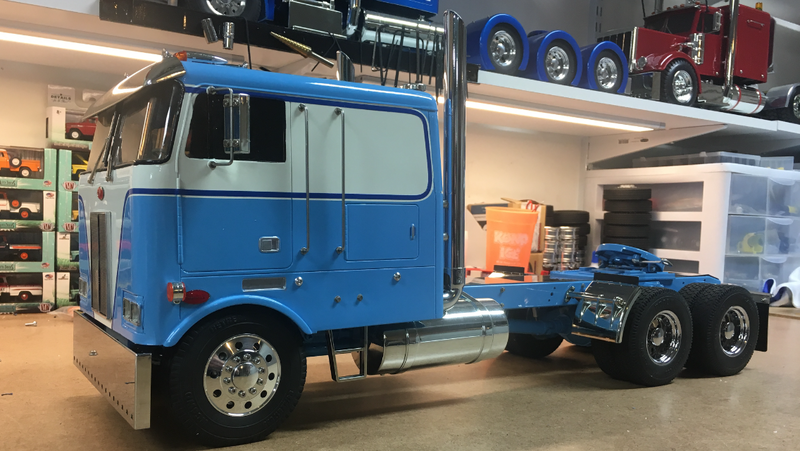 This good looking rig below, belongs to David way down in New Orleans. 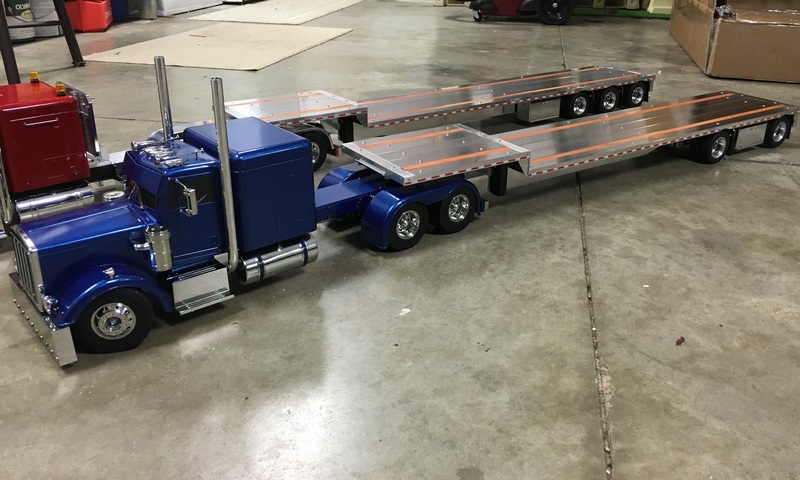 He just received a new 48′ tri-axle drop deck from me. Looks good behind that truck! 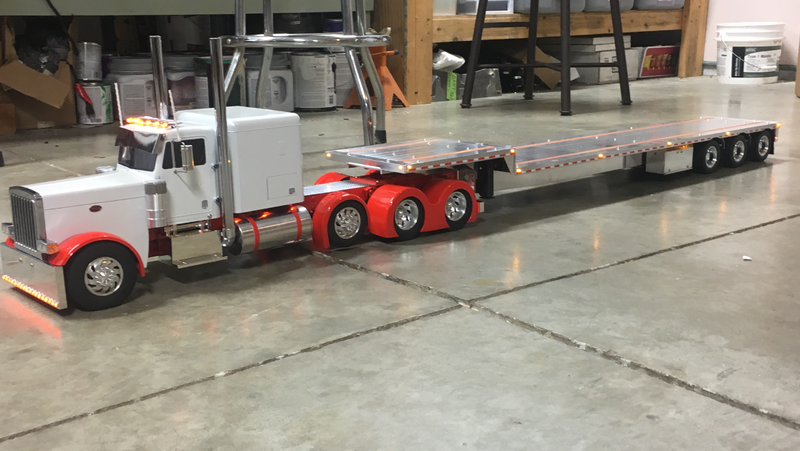 Trailer is fully loaded with Aluminum wheels, Airbag Suspension, LED lighting, Center mounted Aluminum Tool Boxes, and Low Profile tires. 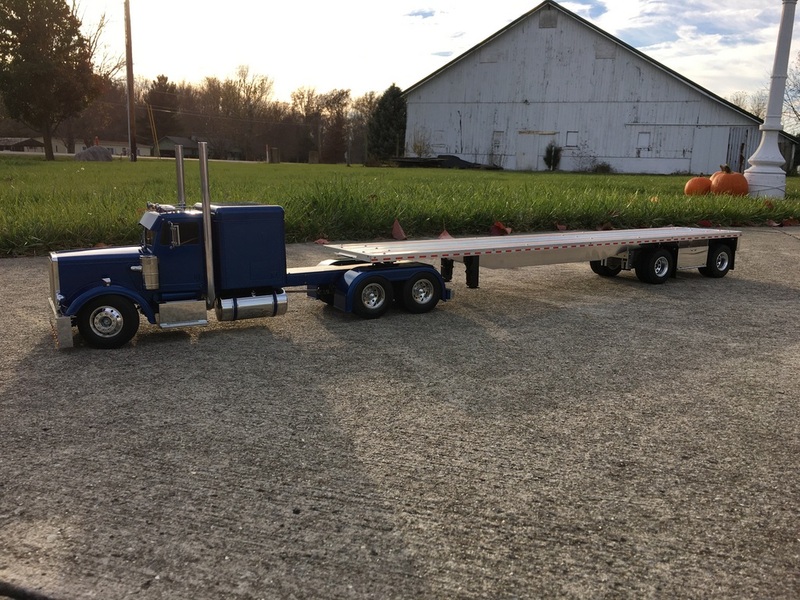 Below is my customer Henry’s beautiful looong stretched Grand Hauler based in San Francisco pulling one of my 53′ drop deck tri-axle trailers. 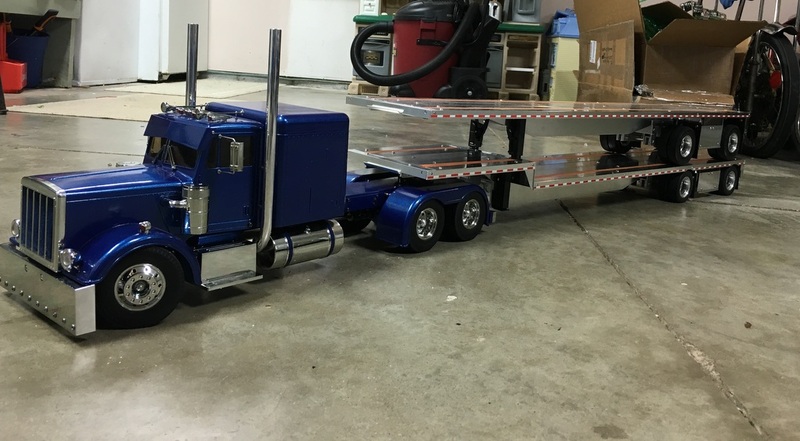 Looking to have a full tilt boat trailer built for my company Pro Marine RC . Built like the real ones . Can get a quote on a 48′ flat spread. Thank you. Sure Patrick, I am sending you an email. Thanks! 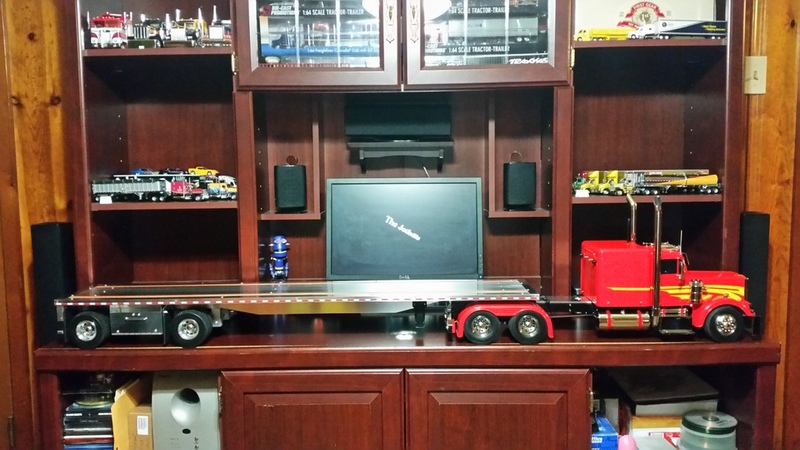 Darwin this Henry I am so in love with my new 53″ trailer you did a wonderful job. That’s awesome!! That is what makes it all worthwhile! Glad you liked it, I appreciate your business, Thanks again! I’m in the UK. Can you please send prices and info on all your trailers please. I an sending you an email. Thanks! I just wanna say I am very pleased to finally see the true nature of someone’s talents. Trucks have been in my family for years and to see u pull this off is amazing. How can I go about getting a supper B train w/ air ride (all 5 axels) w/ 4 boxes? Thank you very much Pete! I will send you an email. Thanks again! 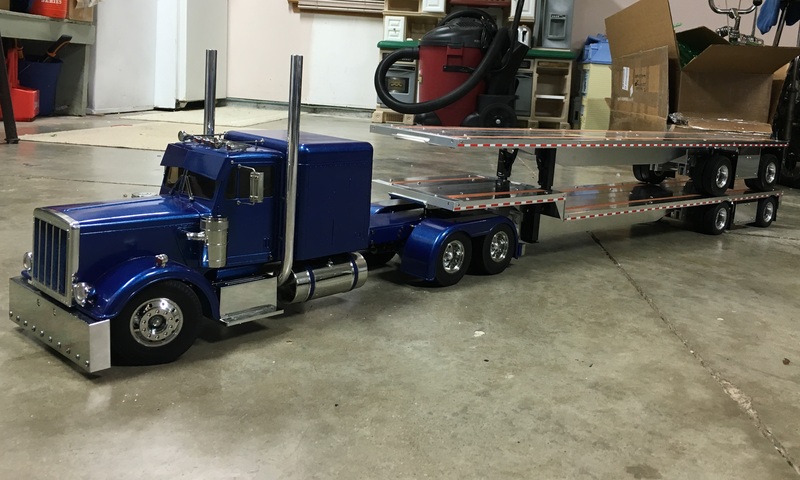 Here are a few pictures to start off with, I should have started this page when I started building trailers! 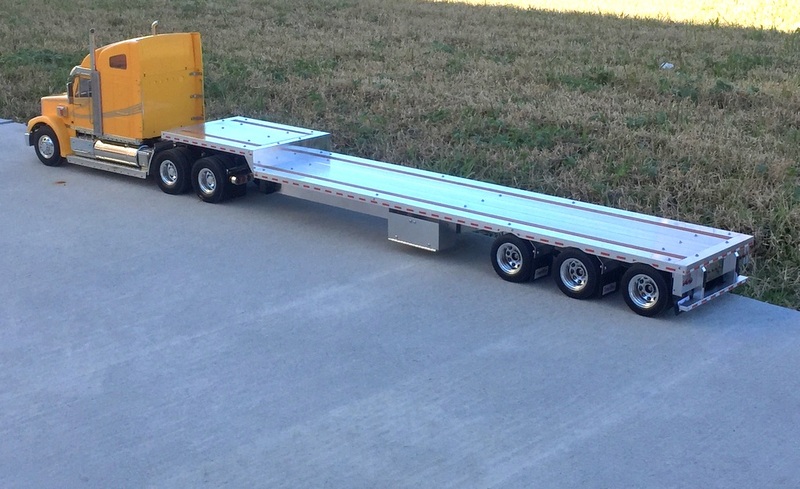 West Coast Remote Control Trucks Inc.
48 Spread Axle Flat Deck for Sale!